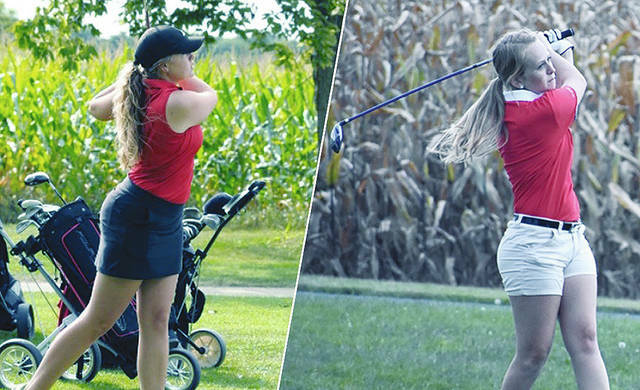 Urbana University women’s golf coach Mark Schwitzgable has announced the signing of Triad’s Alexis Moore and St. Henry’s Allyson Hemmelgarn. Hemmelgarn will graduate from St. Henry High School this spring. While competing for the Redskins, she earned three varsity letters in golf with career averages of 46 (9) and 96 (18). She was recognized for her stellar play by earning first-team league honors in back-to-back seasons under head coach Gary Broering. She plans to study accounting while attending UU. Moore, the daughter of former Blue Knight basketball player Doug Moore, will graduate from Triad High School where she has earned spots on the school’s Honor Roll and Dean’s List. Moore has earned seven total varsity letters as a Cardinal, including golf, cross country, basketball and softball. In 2017, she was named a second-team all-conference performer and earned the coaches award. She plans to study early childhood education at UU. Today’s home softball doubleheader has been moved to a 2 p.m. start due to forecast rain later in the day. UU will host Notre Dame College at Blue Knight Field for the pair of conference games. UU defeated the Falcons twice in the teams’ previous meeting on April 5.